For examination copies, please complete our examination copy request form. 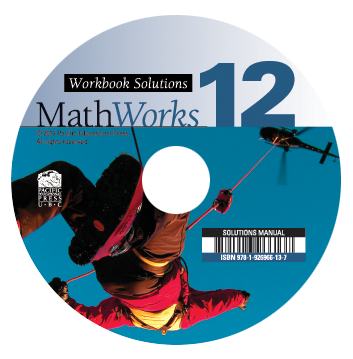 This resource provides complete worked solutions to the questions in the MathWorks 12 Student Workbook to support your class instruction. The solutions are provided in PDF, Flipbook, and Notebook formats.